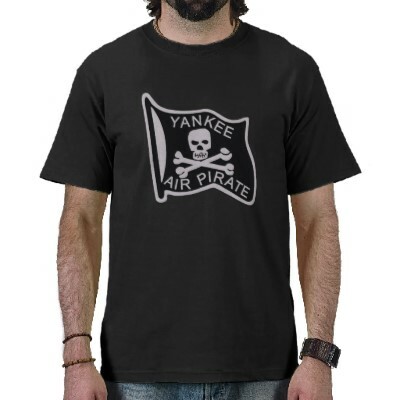 Software Piracy in China : Can the Yankees complain? Microsoft proudly proclaimed that it’s biggest competitor in the OS space wasn’t Apple or even Linux–it was piracy. From the data that Steve Ballmer presented it was hard to argue against. In fact more people were using unlicensed Windows products than Apple and Linux combined. This perfectly illustrated the sheer dominance of Microsoft in the OS space back in 2009–so how then did this dominance fade away so quickly? Of course in hindsight those of us in 2012 know exactly what would happen. PCs would become less important, and hence the Operating Systems (OS) that ran them would also become less important. The emergence of a ‘proper’ smartphone would enable that transition from PC and Laptop to Handheld devices, and these app-based devices would render most browsers only for browsing as more data would flow through dedicated apps rather than browsers. The pirates it seems were not the cause of Microsofts decline in the space–it was their inability to predict the trends in the very industry they were dominating. Had Microsoft begun to take tablets and phones seriously back in 2007 or even 2009, they would have been in much better shape now then they are (not that they’re in bad shape though!) If you want to see how dominance can quickly lead failure–just look at Sony, or Kodak. How could they have missed Apple? It’s really surprising to us how Microsoft could have missed Apple and instead focused on Linux and piracy. That was their biggest loss, not the fact that they constantly complain about losing revenue in China because even the state owned companies use pirated version of Microsoft products. The fact is, piracy was never really a problem for Microsoft–the people that were pirated were not exactly the same users who could afford the couple of hundred US dollars for a copy of windows and office (state owned companies are the exception). It’s like Louis Vuitton complaining of the Rm50 ringgit handbags you can buy in Petaling street causing them lost revenue. That’s why LV doesn’t bring their case from a lost revenue perspective but one of brand dilution, which they have some sort of case for. [box icon=”chat”]Today Gates openly concedes that tolerating piracy turned out to be Microsoft’s best long-term strategy. 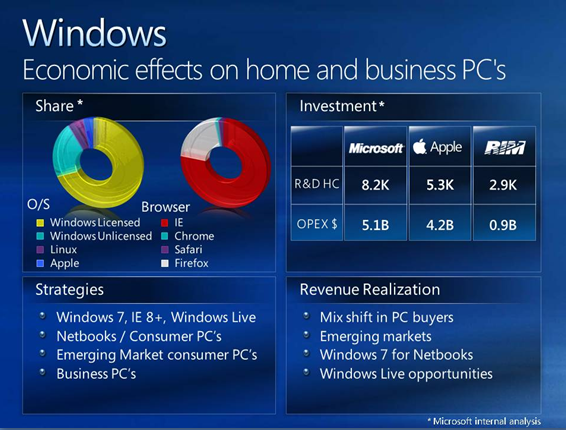 That’s why Windows is used on an estimated 90% of China’s 120 million PCs. “It’s easier for our software to compete with Linux when there’s piracy than when there’s not,” Gates says. “Are you kidding? You can get the real thing, and you get the same price.” Indeed, in China’s back alleys, Linux often costs more than Windows because it requires more disks. And Microsoft’s own prices have dropped so low it now sells a $3 package of Windows and Office to students. This was a look back report from 2007 (2 years prior to the Slide Steve Ballmer presented and the same year Apple debuted the iPhone). It’s important to see this from Microsoft perspective, they thought Linux and piracy were their biggest threats, they didn’t want the biggest market in the world to suddenly go open-source. So they ‘tolerated’ piracy to a certain degree so that their expensive Windows products could compete with the free Linux distributions. It’s quite ironic then to think, that the biggest real competitor to Microsoft over the next 5 years would turn out to be Apple, with their very very expensive OS. So it’s actually a little hypocritical now for Microsoft to go on record claiming 90% of Chinese consumers don’t buy their windows products–and then complain about that statistic to the Chinese Government. Microsoft also has asked the Chinese governments to stop using pirated software in state owned businesses. This of course is akin to Microsoft asking the Malaysian government to have GLCs (like Maybank and CIMB) stop using pirated software. It’s quite embarrassing for the government, and they have acted to a certain degree, but overall the point is that Microsoft should have seen this risk coming a long time ago when they decided to ‘tolerate’ piracy. Microsoft were complicit in ‘growing’ the initial piracy in China and now have no right to demand reform, when they openly profited from it in the early days. Who knows what might have happened if China went full out open source in 2007? How many flavors or Linux would have been developed in rapidly innovating China? How exciting would it be to have a fully fledged OS develop behind the great firewall? What kind of innovation, similar to the drop down in the iPhone would we have seen in Ubuntu if China were truly implementing IP protection? Of course, Microsofts plan has always been to allow piracy for the end-users while systematically forcing corporations and businesses to buy their products off the shelves. Unfortunately, that strategy would only work in a country that actually enforces intellectual property agreements and is actually willing to pay for software. You might argue that China is actually a Utopia for innovation simply because it wanton-ly violates intellectual property laws. The same way America profited from violating intellectual property laws back in the day–is the same path China is taking now, and while the Europeans complained about the Americans back then, the Americans are complaining about the Chinese now. More to the point, it’s extremely important for China to continue copying to reduce the technological gap. If the US hadn’t copied the europeans back then, they wouldn’t have been the superpower that they are now. The gap between the Europeans and the Americans would have been so large, they’d basically be a back-water country right now–and without the US technological advancements, Apple would never have been created. All you’d have for a smartphone would be–Symbian!! So the entire world is profiting from the groundwork that the original Yankees put in place and our children will also profit from the groundwork that the Chinese are putting in place now. Also with the internet, companies like Microsoft have profited from allowing and tolerating piracy, it seems the more effective companies are those that openly embrace piracy rather than those that take the archaic approach of lawsuits. Can the Yankees really complain?